In anticipation of WHSmiths stocking these very soon at my local stores, I am once again offering full sets at £40 plus postage (First a Class Signed For £4.30 or Second Class Signed For £3.90). The donation amount to Fairy Bricks will be subject to whatever money off vouchers are available at the time of purchase. If you are interested in pre-ordering a full set then please drop me a PM. WHS do have £5 off £15 vouchers for toys and kids' art stuff (includes ALL lego) at the moment. For those at STEAM today, I have full sets available for collection so come on over and see us at the Fairy Bricks stand, the wondeful @LostInTranslation‌ and @Shib have been helping me out with the fondling of the packets whilst at STEAM..thank you guys! For those who have sent me their pre-orders, I will be in touch shortly after STEAM to sort out payments, I will be able to post yours out to you on Monday when I get back up to Leeds. If anyone else is interested in having a set posted out to them then please drop me a PM. Oo, I'd missed this. As I've not been able to get to STEAM, PM sent. Ah no! If only I'd read this before seeing you today at STEAM - I'd have jumped at it! A few full sets were posted out yesterday when I got back from STEAM, so a huge thank you to @Jabba_the_Taff‌, @blahblah‌ and @pd66‌ for supporting Fairy Bricks again :) hopefully yours will be arriving shortly. A fair few were also sold at STEAM at the weekend so thank you to Mark Baille (one of the STEAM mosaic helpers), @Shib, @Messy and @ame_uwagi‌ for collecting theirs in person. Collectively, everyone has helped to raise £61.50 to donate to Fairy Bricks..thank you so so much! If anyone else would like a full set of these then please drop me a PM. Matt has pushed our collective Fairy Bricks donation up to £74.62!! More then happy to help! Fairy Bricks is a fantastic organisation that deserves a lot of support! I'll be keeping my eye open for other ways to contribute! Thanks StormKitty! Anyone know what's happened to @StormKitty‌ ? Looks like she's not been on here a while and I was hoping to get the latest series of cmf's! It's a shame. I'd have bought a full set of Simpsons series 2 to go with the series 1 I bought from her. 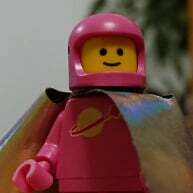 @StormKitty is right in the middle of a pretty big life changing experience (a very good one so nothing to worry about) but it does mean everything LEGO has to take a back seat. Thanks for the update @SirKevbags. I wish @StormKitty good luck in that case. There are many things more important than Lego.